Biography: Walid Al-Saqaf is a Yemeni journalist, software developer and media and communication researcher. He is the director of the Global Journalism Master Program at Örebro University, where he studies Internet censorship. He started his career as a journalist in Yemen by managing the Yemen Times English-language newspaper (1999-2005). Thereafter, as Daniel Pearl Fellow, he worked as a senior editor for The Wall Street Journal in Washington, DC. Over the years, Walid became more interested in freedom of expression on the Internet and worked to empower online activists particularly the Arab world. 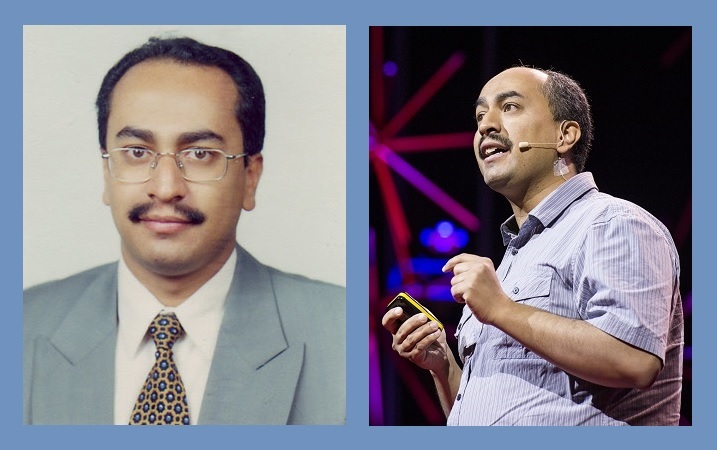 Among his projects is Alkasir, which is a software solution that is utilized by Internet users in several countries including Syria and Iran to mainly access blocked news, dissident and social media websites by circumventing censorship. His efforts in supporting democracy through technology won him a TED senior fellowship in 2012 and Örebro University’s 2010 Democracy Award. How did the Friendly Fellowship experience have impact on your life? It provided me with an opportunity to experience journalism at an international media corporation. I attended Whitehouse press briefings, Congress and Senate hearings, and a host of national and international events. The fact that I worked for the WSJ provided me with a stronger profile that helped enhance my professional career and arrive to where I am today: the Director of the Master of Global Journalism at Örebro University in Sweden. On the personal level, I was treated like a family member by the program staff and found compassion and support throughout the different emotional struggles I had. What are the most important things you learned on the fellowship? Among the most important things I learned were: accuracy in reporting, fact-checking, principles of investigative journalism, use of digital tools, writing styles, computer-assisted reporting, networking, media entrepreneurship, thinking outside the box, and time management. There were many memorable moments I could recall. On the professional level, visiting the U.N. headquarters and covering meetings as a staff member for the WSJ. On the personal level, I must say that one of the happiest and favorite moments was when my wife delivered my second daughter, Sarah, towards the end of the fellowship in August 2005. In 2008, I was faced with one of the biggest challenges of my life when the Yemeni authorities blocked access to my news aggregating website (Yemen Portal). I had the choice of surrendering to government pressure and allowing it to control news content on my website or fight back against censorship and begin a struggle for freedom of expression online. I am proud to have chosen the latter and since then, I never looked back. That decision was my greatest professional achievement because I held on to my journalistic beliefs and principles. I am pleased to say that it paid dividends as it created the motivation and drive in me to pursue an activist career by enabling thousands around the world to access the Internet more freely through the software solutions I created including Alkasir. As a bonus, I also got lots of support, awards and international recognition. What tips do you give to young reporters in your nation? I would tell them to stay true to the real mission of journalism in pursuing the truth and working professionally to serve the public while equipping themselves with the skills necessary in this digital age. I would urge them to find ways to improve their skills in online investigative journalism techniques, encrypted communication and protecting privacy and sensitive data. What tips do you have for current and future Friendly Fellows? The fellowship is a golden opportunity that you should seize and take full advantage of. Explore, learn, experiment and work hard to get the best out of it. Never hesitate to ask journalists and editors around you about how to reach sources, arrange appointments, gain access to resources, etc. Just like it was for me, for some of you, it could be a career-changing experience that you will always cherish. To others, you will add new knowledge and skills to strengthen your journalism standards. Don’t miss out on anything while on this journey. Oh, and don’t forget to enjoy it to the max… It’s also a lot of fun!